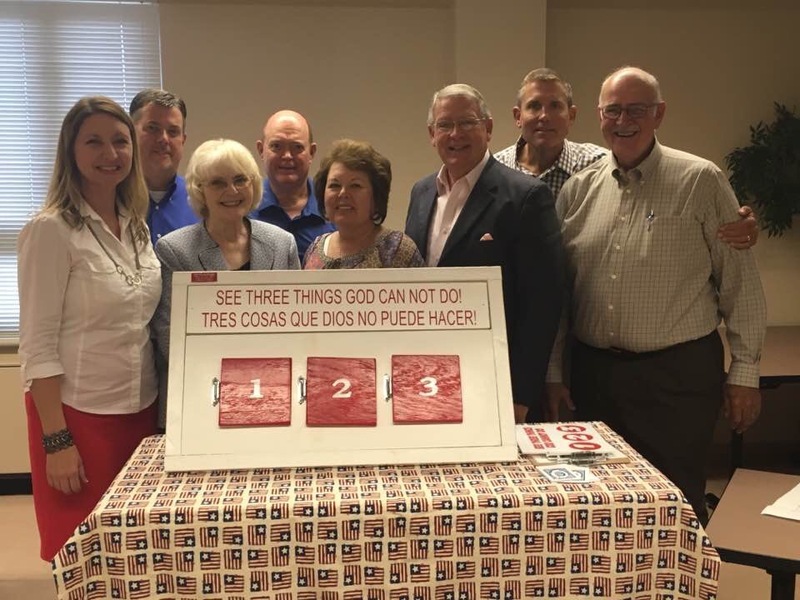 Alabama meeting to expand the boarders of SOS Events Ministry on Tuesday, July 18th. Left to right, Patty, Dale, Carolyn, Zack, Rosie, Sammy, Phillip and Billy. All of these Dedecated Christians have one thing in mind, to spread the gospel to more people, especially in Alabama and then out from there to the entire USA and beyond. Please pray for wisdom and God’s will as the ministry continues to grow. This entry was posted on July 21, 2017 at 10:43 am and is filed under Uncategorized. You can follow any responses to this entry through the RSS 2.0 feed. You can leave a response, or trackback from your own site.